During the 1960s, various studies identified hunger as a major problem in this country. Physicians described young women, often pregnant, in their clinics with various ailments caused by lack of food. In Atlanta, GA, doctors and clinic staff began to prescribe needed foods, and the prescription served as a voucher women would use to obtain a food package. Separately, in Baltimore, MD, Dr. David Paige of Johns Hopkins University was developing a similar food distribution program using vouchers. President Nixon during the White House Conference on Food, Nutrition, and Health. In December 1969, the White House Conference on Food, Nutrition, and Health focused on the problem of malnutrition and hunger due to poverty. Conference recommendations called for special attention to be given to the nutritional needs of low-income pregnant women and pre-school children. 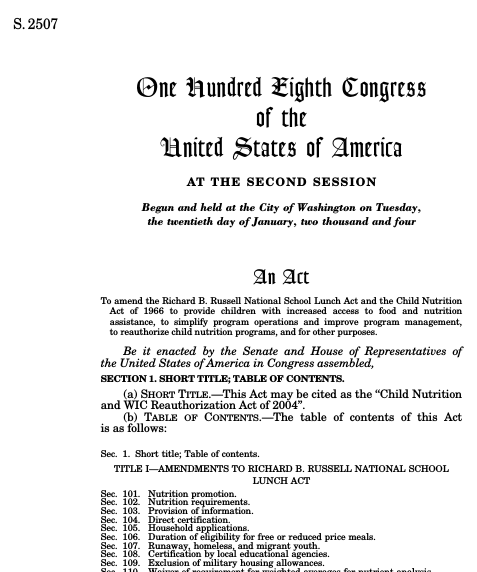 On September 26, 1972, an amendment to the Child Nutrition Act of 1966 authorized WIC. The legislation established the Special Supplemental Food Program as a 2-year pilot program, using Dr. David Paige’s voucher program as a model. 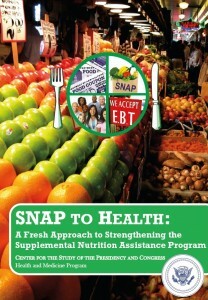 The program is renamed the Special Supplemental Food Program for Women, Infants, and Children (WIC). Two food packages are developed– one for infants and one for children and pregnant or breastfeeding women. A family receives WIC benefits for the first time. The first WIC site is officially opened in Pineville, KY. Legislation establishes WIC as a permanent national health and nutrition program. P.L. 94-105. Later, program eligibility is extended to non-breastfeeding women (up to 6 months postpartum) and children up to age 5. WIC originally provided supplemental foods to breastfeeding mothers and children up to 4. USDA regulations begin using a priority system based on nutritional need for distributing program benefits. These regulations also add a WIC food package for children with special dietary needs, and allows state agencies to distribute food using home delivery, retail purchases, or direct delivery. Nutrition education must be provided. Supplemental foods should contain nutrients lacking in target population. States must coordinate referrals to social services such as immunization, family planning, and child abuse counseling. 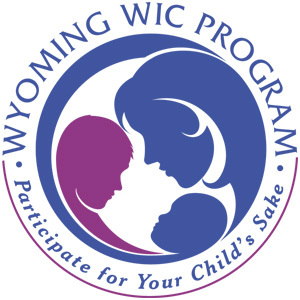 Wyoming becomes the last State to implement WIC. Income eligibility requirement lowered to at or below 185 percent of the Federal poverty level. Tennessee becomes the first State with an infant formula rebate program. The Hunger Prevention Act of 1988 provides grants to several States to conduct Farmers’ Market Demonstration projects. The Child Nutrition and WIC Re-authorization Act of 1989 requires State agencies to use competitive bidding to procure infant formula. It also requires the USDA to promote breastfeeding. To encourage breastfeeding, a WIC food package is specifically designed to benefit women who exclusively breastfeed their infants. Later, the WIC Farmers’ Market Nutrition Act of 1992 establishes the WIC Farmers’ Market Nutrition Program. The Healthy Meals for Healthy Americans Act of 1994. The Healthy Meals for Healthy Americans Act of 1994 changes the name to the Special Supplemental Nutrition Program for Women, Infants, and Children in order to highlight its role as a nutrition program. The Loving Support Makes Breastfeeding Work initiative of the USDA. The USDA begins a National Breastfeeding Promotion Campaign in order to increase breastfeeding rates among WIC mothers. The Loving Support Makes Breastfeeding Work campaign is one example. The William F. Goodling Child Nutrition Re-authorization Act of 1998 requires that all WIC applicants must be physically present, document income, and present proof of residency. WIC State agencies are required to use definitions of nutritional risk based on a national list for the WIC program. 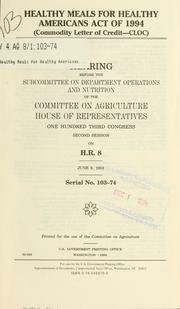 The Child Nutrition and WIC Re-authorization Act of 2004. The Child Nutrition and WIC Re-authorization Act of 2004 implements provisions to maintain competitive pricing among WIC vendors. The Breastfeeding Peer Counselor Initiative is launched, helping women with breastfeeding experience to support women learning to breastfeeding. Based on an Institute of Medicine report, USDA introduces a new package consistent with the Dietary Guidelines for Americans. Fruits, vegetables, and culturally sensitive substitutes are added to the food package. Mothers who exclusively breastfeed receive more healthy foods. 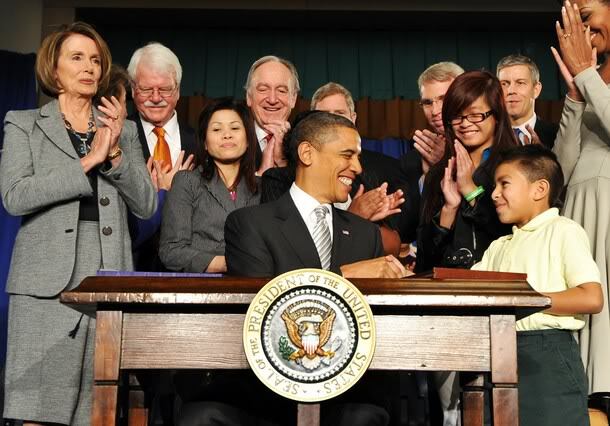 President Obama signs the Healthy, Hunger-Free Kids Act of 2010. The Healthy, Hunger-Free Kids Act of 2010 mandates that all WIC State Agencies must adopt an electronic benefit transfer (EBT) system. The new debit card system is to replace the paper vouchers still in use in many States since 1968.